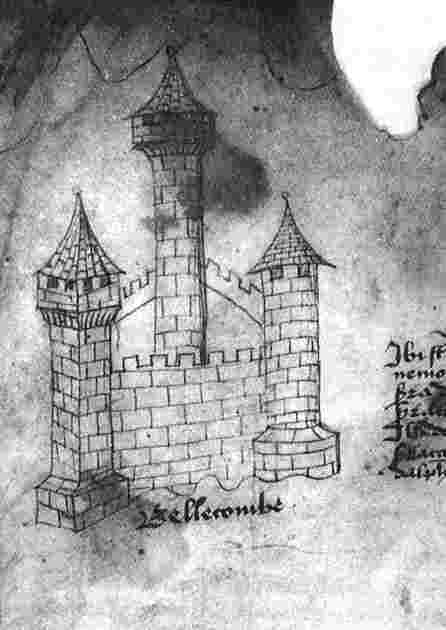 The circular battered shape of the bottom of the tower is inspired from a drawing of 1436 and the current ruins. 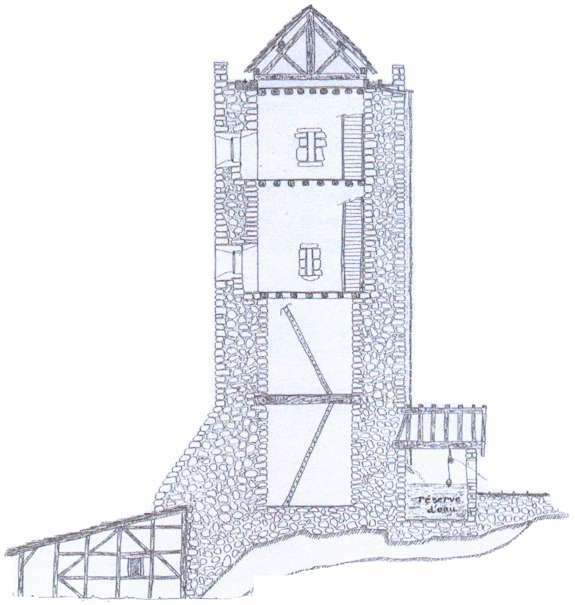 The cistern is located next to the tower. The rain water was guided to the cistern through stone conduits along the wall. 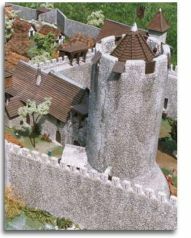 Because the castle is built on rocks, it was impossible to dig wells for water supply. This postern can only be reached by foot through wooden scaffolding. The keep was forbidden to horsemen! Like the main gate, this access is protected by hoarding. 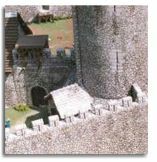 The great hall (named "aula" in the texts of the 14th century) is one of the 2 buildings in the keep. Another house and the chapel were built next to the great hall. All these buildings are made of stone. 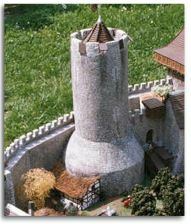 The water was coming from the top of the large round tower. 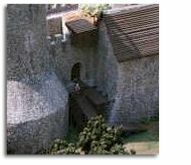 The roof was covered with stone tiles (called "lauzes") to prevent fire.